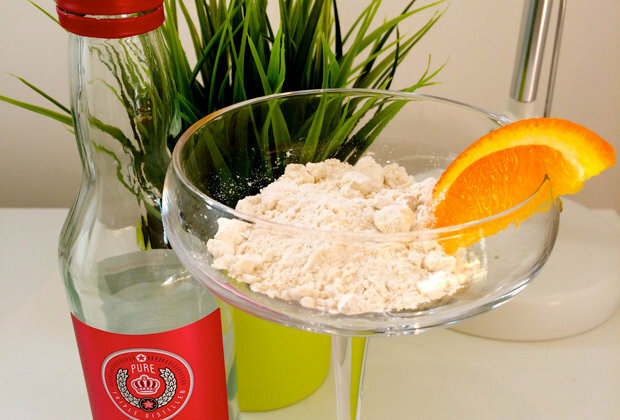 UPDATE: Don’t expect powdered alcohol to hit store shelves anytime soon. A product called “Palcohol” gained widespread attention online in recent days after it was reported that the Alcohol and Tobacco Tax and Trade Bureau approved the powdered alcohol, including vodka and rum varieties. But a representative for the federal bureau, Tom Hogue, said in an email to The Associated Press late Monday that the approvals were issued in error. Hogue did not immediately respond to requests for further details, including how the error occurred. In an email message, Palcohol’s parent company Lipsmark said “there seemed to be a discrepancy on our fill level, how much powder is in the bag.” It said it will resubmit the labels for approval. Earlier in the day, Palcohol said in an email that its founder Mark Phillips was traveling and unavailable for an interview. It said it wasn’t releasing any information on distribution or pricing, and the company’s website doesn’t provide details on how it makes powdered alcohol.